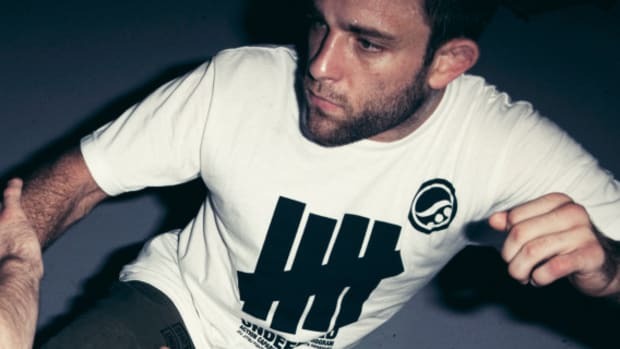 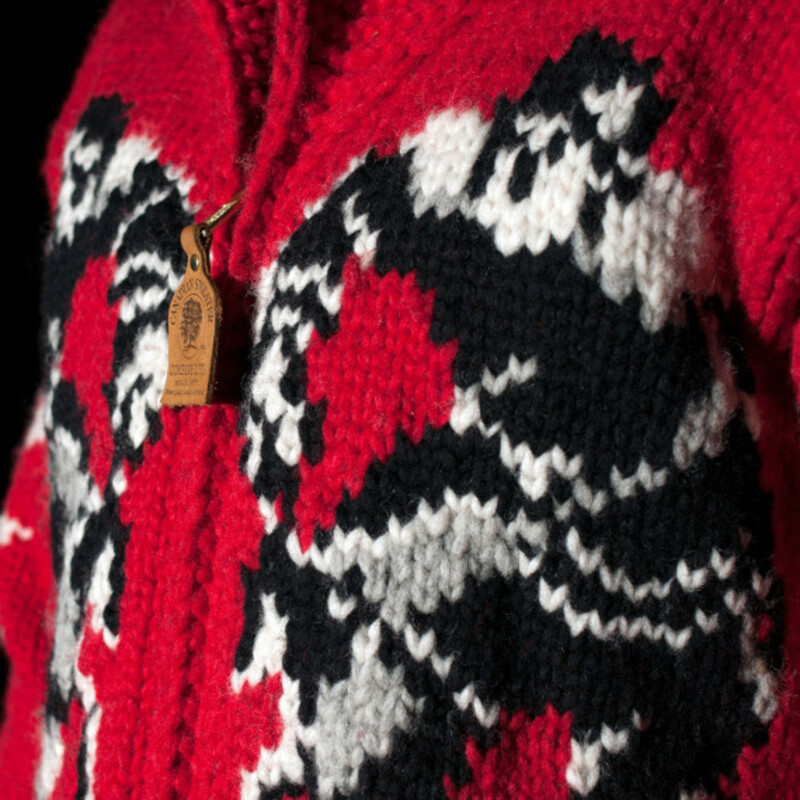 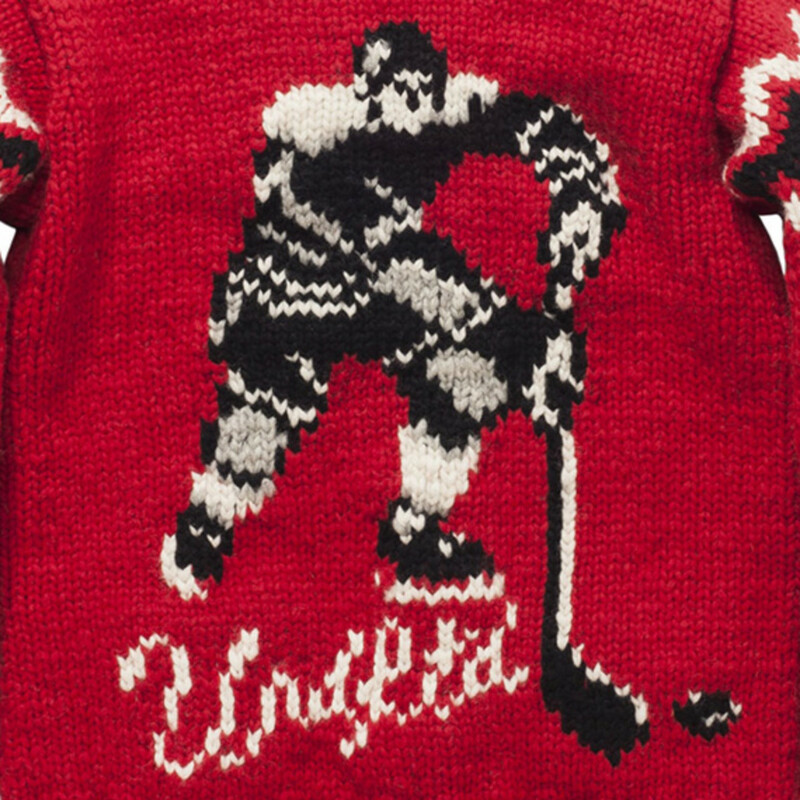 Completely handmade by the skilled artisans of Canadian Sweater Company Ltd., the UNDEFEATED x Canadian Sweater Co. "Penalty" Sweater rekindled the fading holiday tradition of Christmas sweaters. 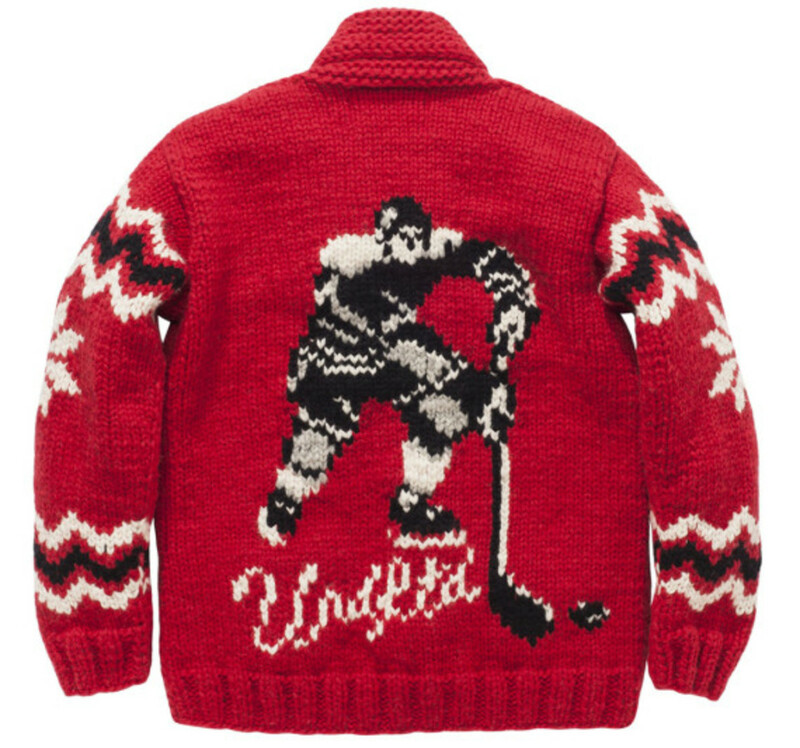 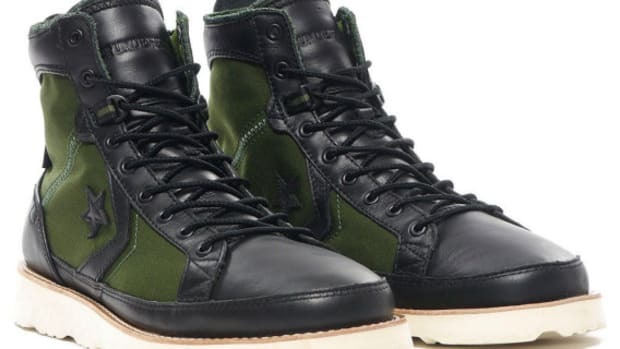 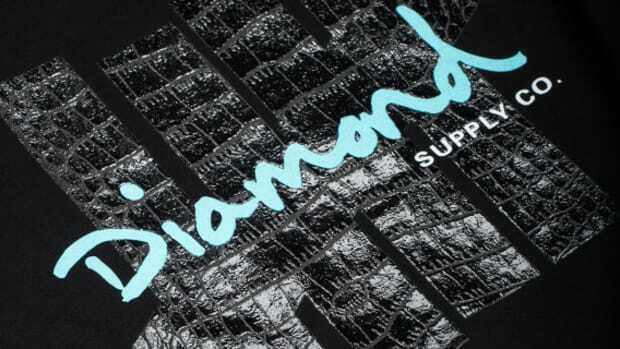 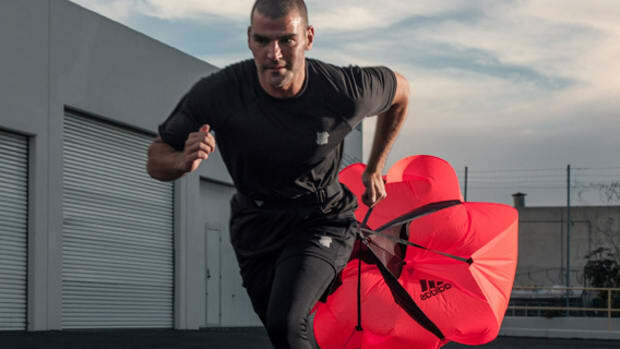 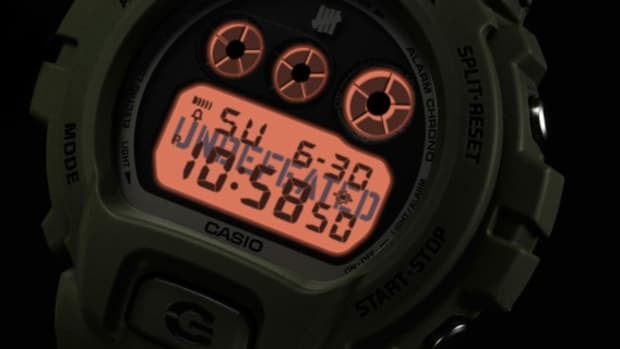 Rather than the typical "ugly" holiday-themed embellishments, the Los Angeles-base retailer/apparel label asked its Canadian collaborator to highlight their favorite winter sport instead. 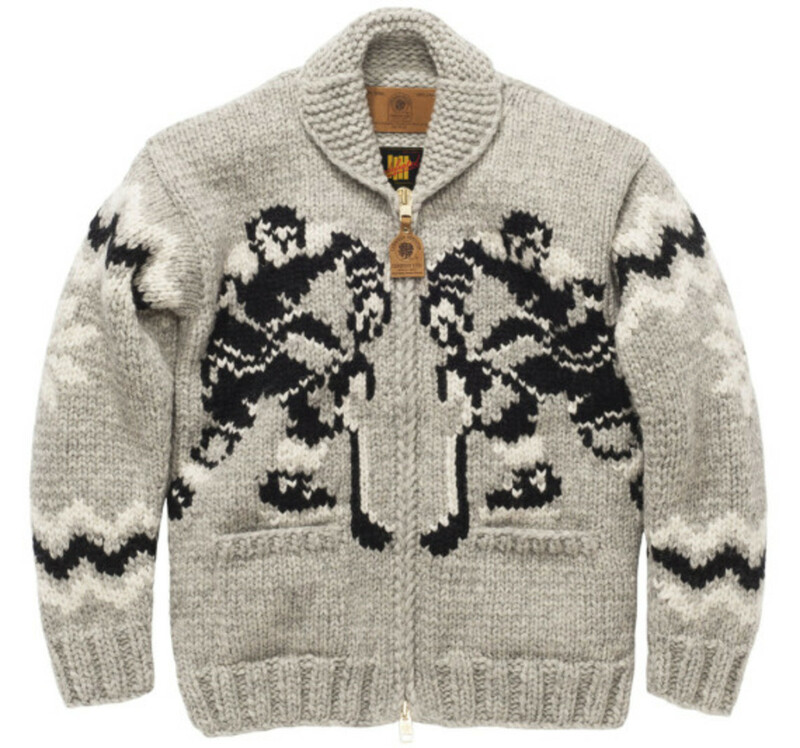 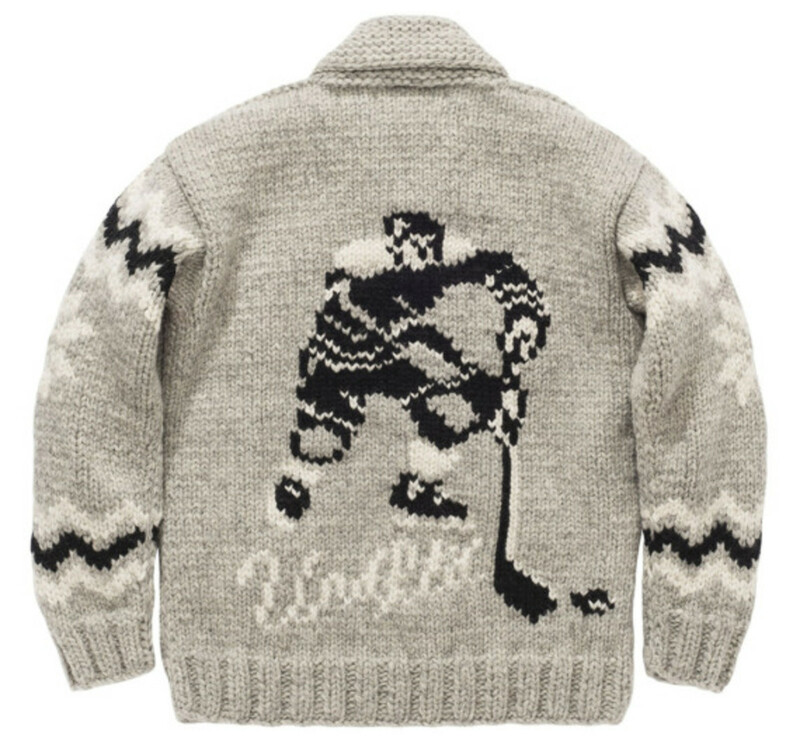 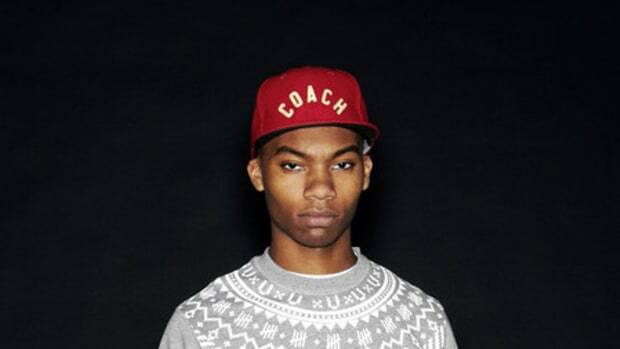 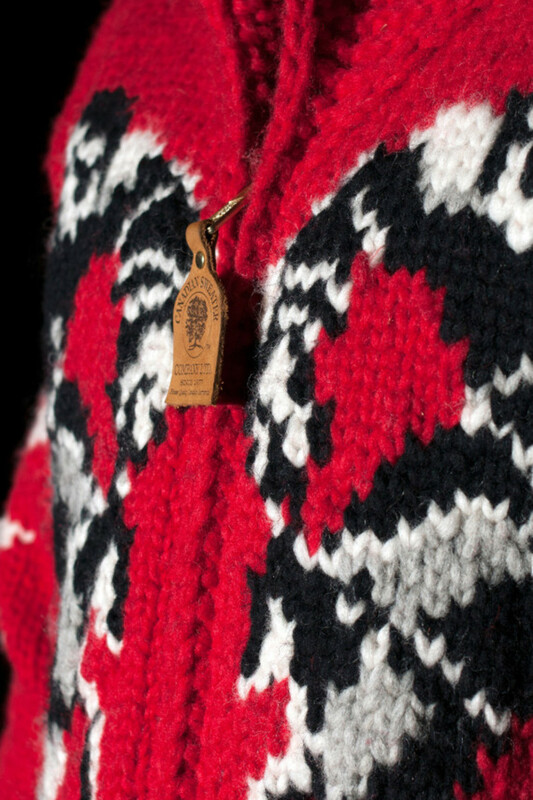 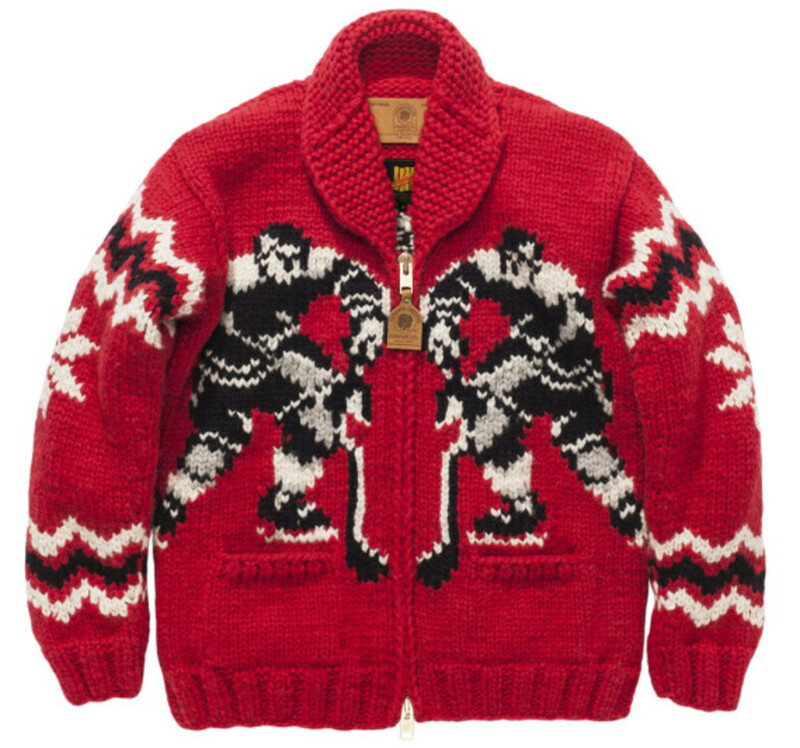 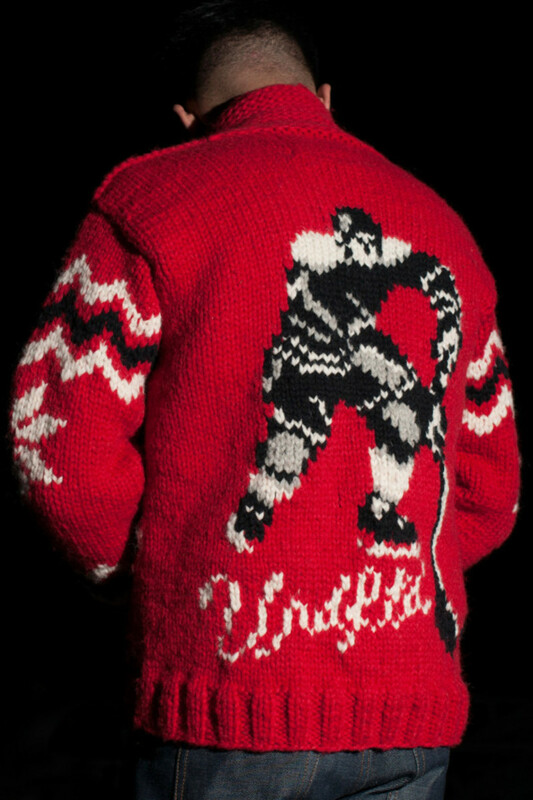 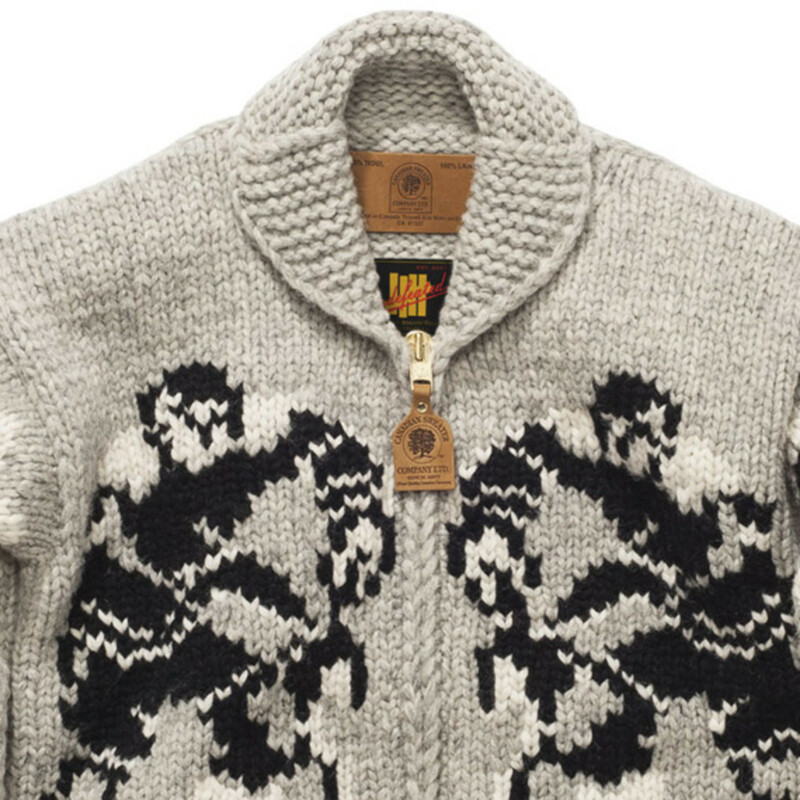 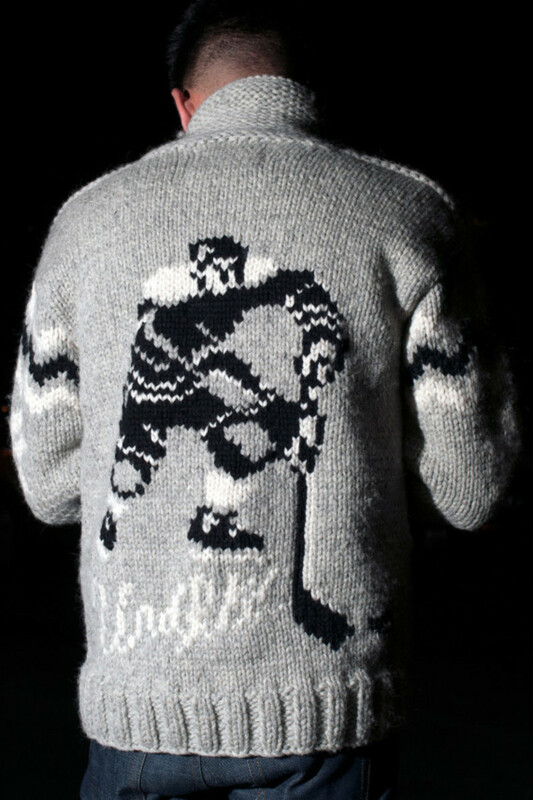 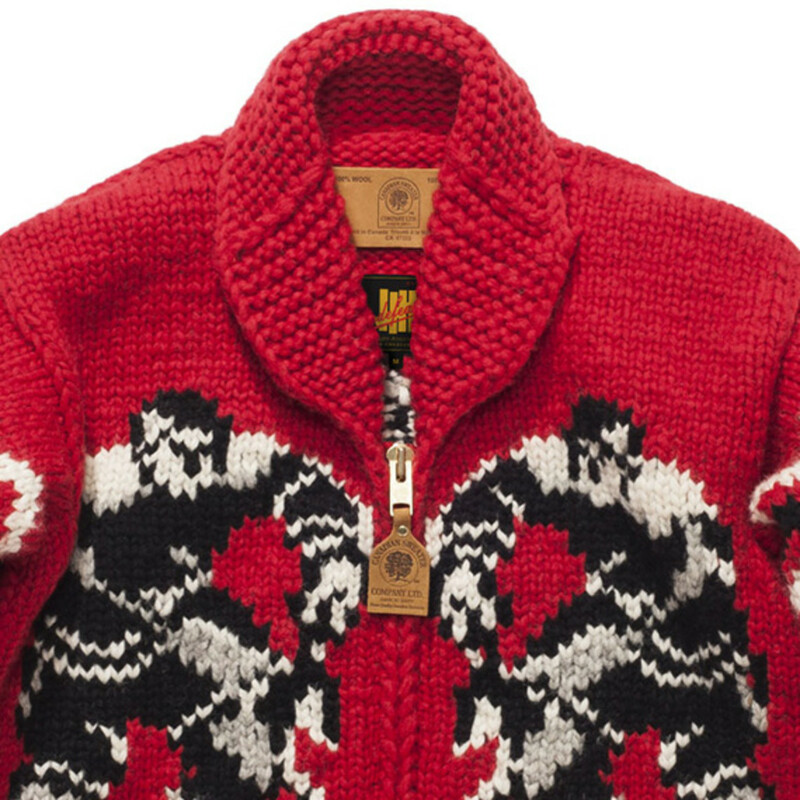 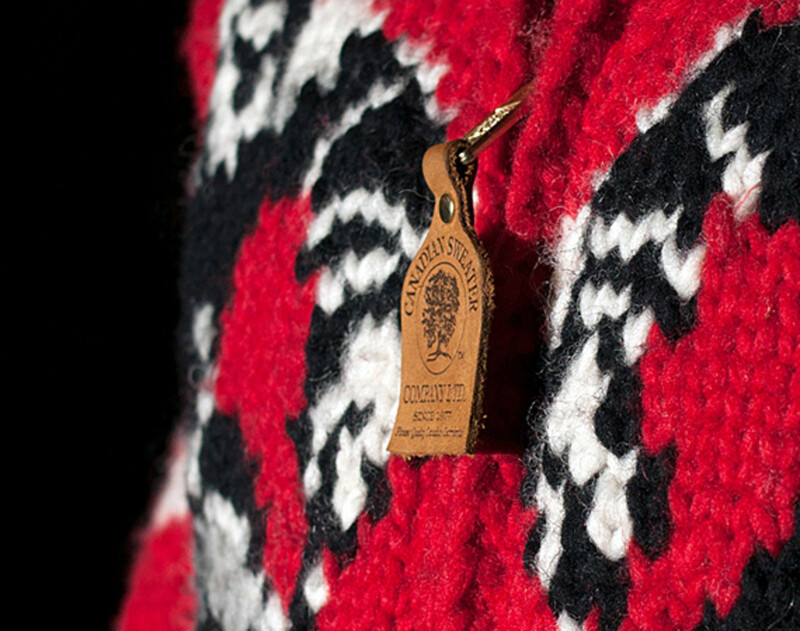 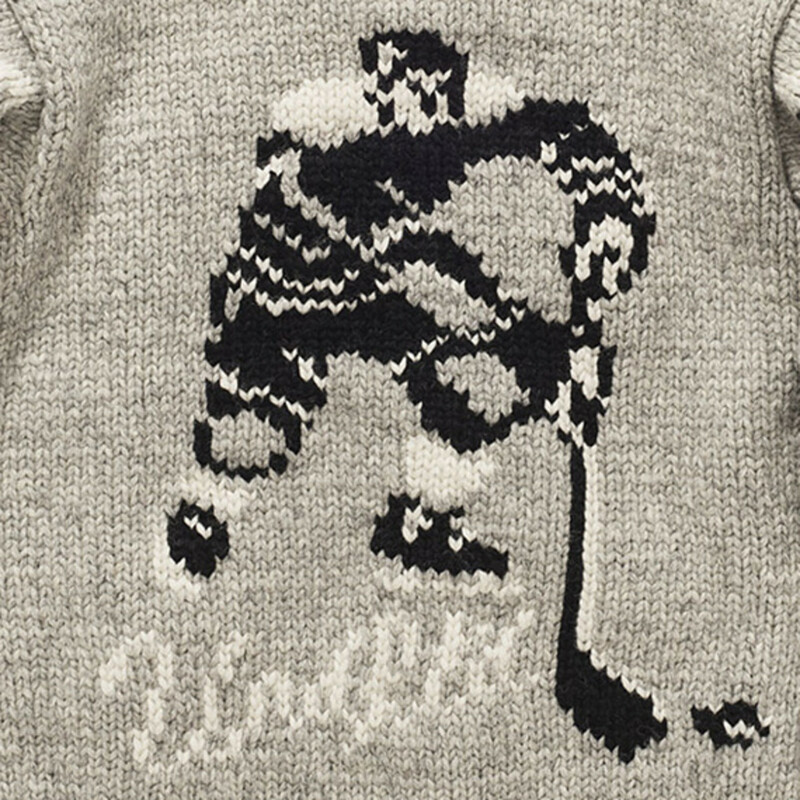 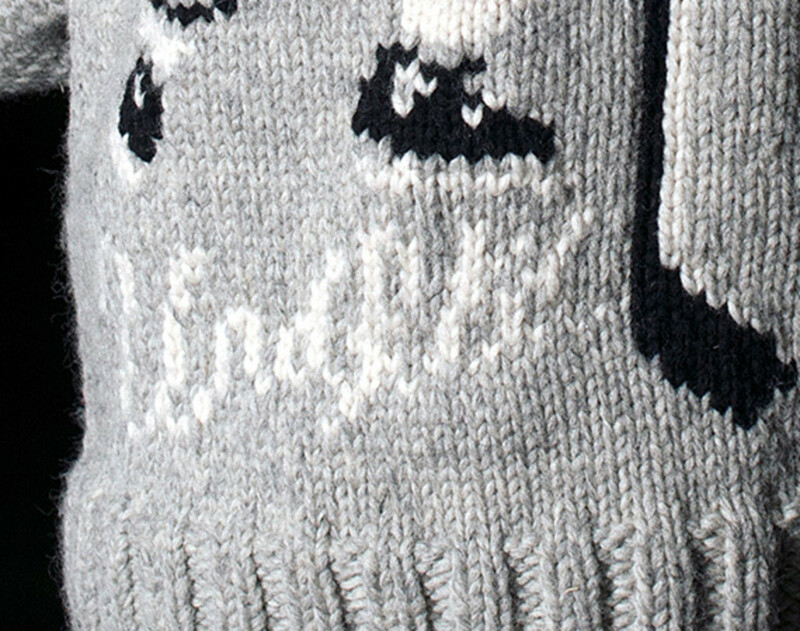 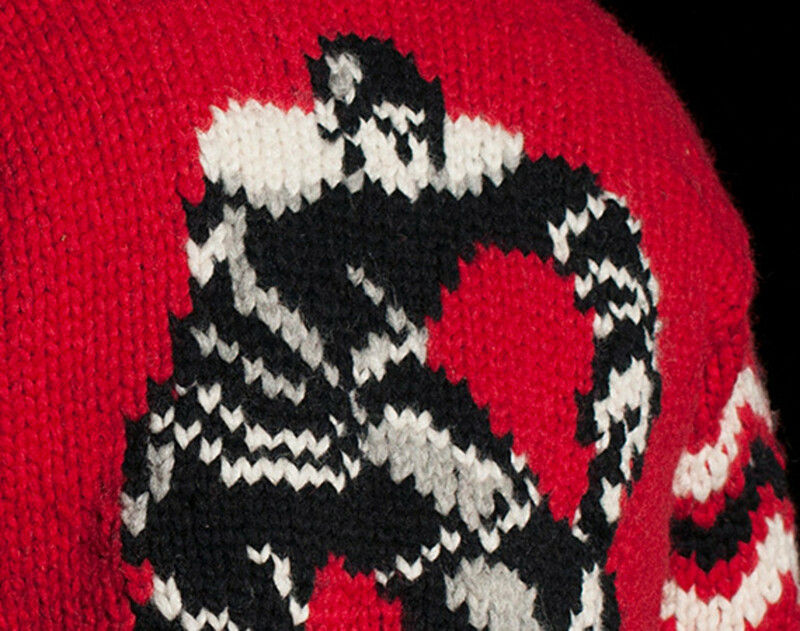 In 100% wool, the sweater features knitted graphics of a hockey player taking a penalty shot. 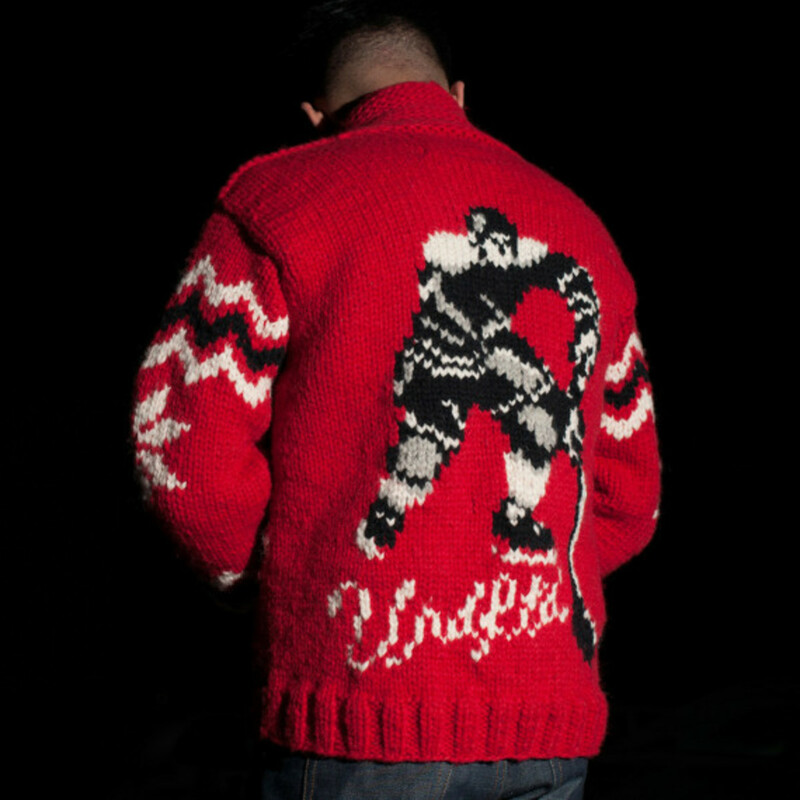 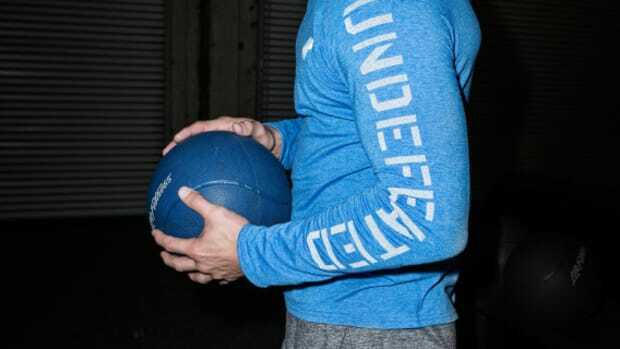 Available in two colorways with a limit of 24 units in each, the UNDEFEATED x Canadian Sweater Company Ltd. "Penalty" Sweaters are now on sale for $498 USD at its Los Angeles area UNDFTD Chapters (La Brea, Silverlake, & Santa Monica) and its online store. 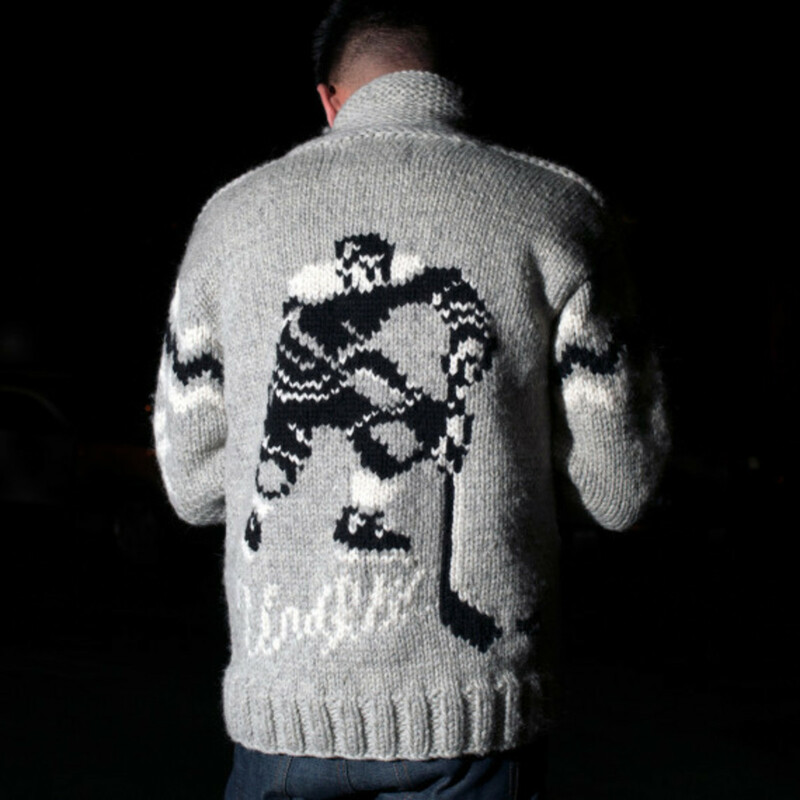 StyleUNDFTDEddie CruzJames BondCanadian Sweater Company Ltd.